Life-Guard Apple Cider Vinegar from NAF is an excellent source of vitamins A & C, calcium and phosphorus, which have all been chosen for their beneficial effects on supporting the immune system, maintaining vitality and a healthy feather condition. This supplement is unpasteurised to keep the goodness locked in and is ideal for chickens and hens. For the NAF Apple Cider Vinegar for horses, please click here. Please Note - Do not use in galvanised drinkers. 100% Pure unpasturised Apple Cider Vinegar. 10ml per litre or kg of feed. 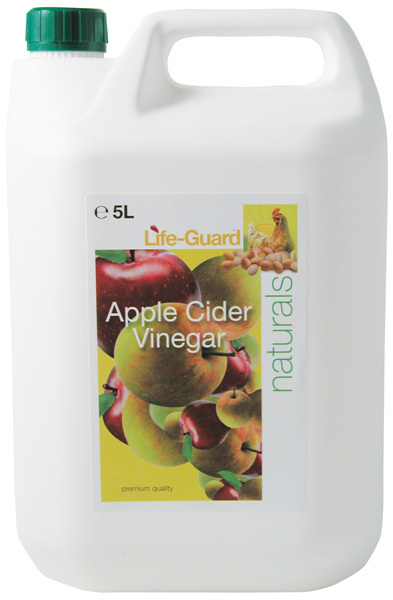 There are currently no questions for NAF Life-Guard Apple Cider Vinegar for Poultry - be the first to ask one!